This makes no sense. The main female lead disguises herself as a man, the main male lead finds out not too much later and a little while after that the FL finds out that the ML knows she is a woman (around chapter...14/15). Now, at chapter 40 we're having a discussion between the two as if the FL only just found out that the ML knew her identity. It's like the author forgot what happened in her own story. This has happened too with some other minor things. Sigh. The pacing is too fast at the beginning (first twenty or so chapters) of the novel, which really stands out when it slows down afterwards, and just because in its haste it foregoes characterization, proper buildup, well worked out setting, etc.... Haste makes waste. 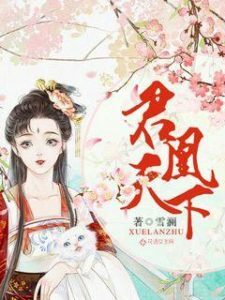 As I said, the characterization suffers: the original crown prince is a typical wastrel, Nan Xun is a typical male lead, the second prince isn't done that well despite taking a lot of the spotlight and even the main character and her motivations feel wishy-washy. These sorts of novels don't portray women well, in my opinion. As in, they're written badly. Regularly, sentences that end with "... because she is a woman" are thrown in to show e.g. the limits for women, but at the same time they act all fussy and bitchy when the plot allows for it. Eight Treasures Trousseau is an example of a novel that does way better in this respect. The main character suddenly swoons for the main lead; see Empress of Military Lineage for better executed romance in a somewhat similar novel. Most of my points relate to the start of the novel, but their influence is at least partly felt later on as well. I do have to say it got better a bit after the pacing slowed down. Even so, the characters, the plot, all of them give a simplified feel. In the end, this is a novel that had potential. It's not bad, but not very good either. It's let down by just being ok in about every category there is to judge a novel. No glaring faults, no shining highs. It's good. A 3 is what I give it, a solid 3 here on NU. If strictly judging, it'd be a 2. I'll still keep reading it because I enjoy it anyway. This novel is interesting, and overall the MC is likeable. There are a lot of words dedicated to describing her appearance, which clearly draws both men and women. The opening is good with a fast pace. then the author decide that its too fast so we get lots of drags n fillers after tens of chapters. it probably about 1/3 of total chapters so brace yourself for those annoying fillers n hopefully u get to the end of this novel. Overall its not bad, but it could be better written than how it is right now. Love it! It's an absolute hidden gem. The description doesn't nearly describe how stunning the novel is. The MC is quite clever, she is not OP like seen in other generic novels, she is quite human with character flaws. It's a breath of fresh air amongst all the Mary Sue novels. Really recommended, you will not regret it. I love this! The main character is strong, cunning, yet can be fragile at times. The main male lead (from what I’ve assumed) is not overbearing and really supports the main female lead in her quest for revenge. The plots are also clever, and not as unbelievable and ridiculous, or just pure malice. The author is very good at creating not only great plots, but also belieable characters. Even the main character has her flaws and is not always perfect that she always win over her enemies. She suffers setbacks, but... more>> she gets over it and comes back stronger, though she may be wounded and scarred in the process of it. It’s what makes it more believable, and feels like a mature story that’s not all about your mother-in-laws, concubines, and all that jazz. It’s bigger than that, even bigger than romance. There is barely a hint of romance so far, because this is not a novel about that, but this is a story of a personal growth of a young woman. The pace is great, not too fast, yet is not purposefully extended by the authors as well to reach 3000 chapters. Every chapter matters and each plot is not repetitive. I also love the translation, and amongst of the many I’ve read so far, ranks amongst one of the best translations. So thank you Volare Novels!